The Great Recession raised poverty rates and reduced household incomes in the vast majority of metro areas. The deep downturnleft relatively few places untouched. 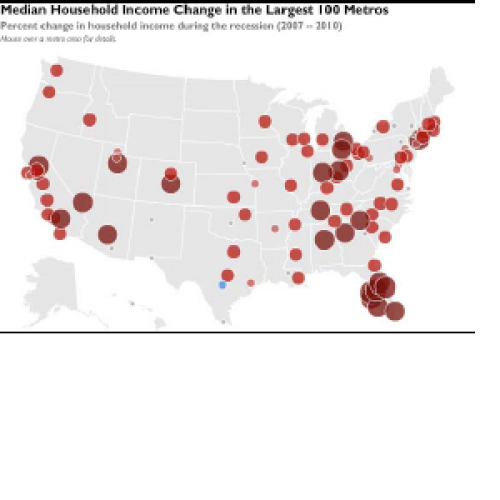 Among the 100 largest metro areas, poverty rates rose in 79, and median household incomes declined in 82, between 2007 and 2010.